Peterborough Northern Star and Blackstones both suffered defeats in the opening round of the United Counties League Cup competition last night (August 31). 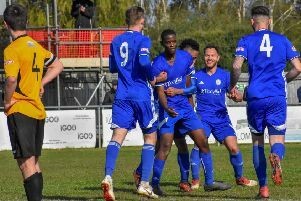 Star lost 5-2 at home to Premier Division rivals Sleaford Town while Division One side Blackstones were also beaten at home - 4-2 by Premier Division Eynesbury Rovers. Scorers for Star were Wilkins Makate and Aaron Warrener while on target for Stones were Daniel Evans and Jones De Sousa.